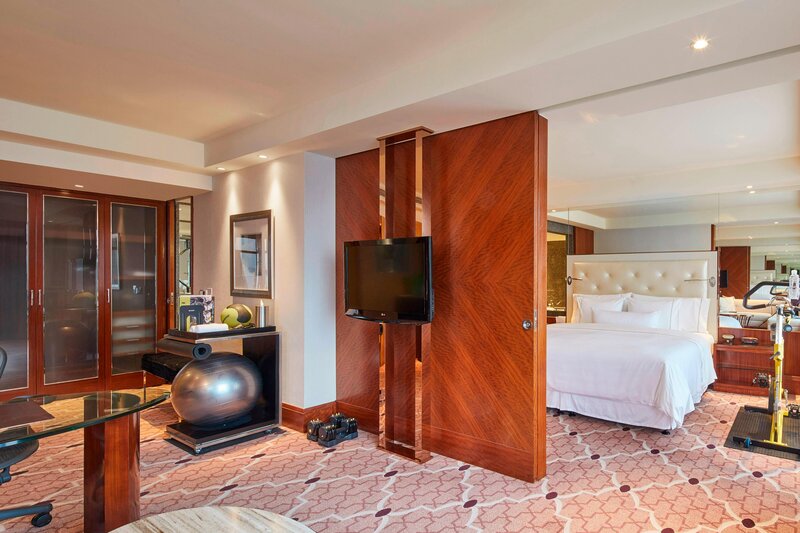 Towering 26 stories over Shanghai’s historic Bund waterfront, The Westin Bund Center, Shanghai welcomes guests with 558 stylishly comfortable guest rooms and suites, each configured for maximum rejuvenation and relaxation. 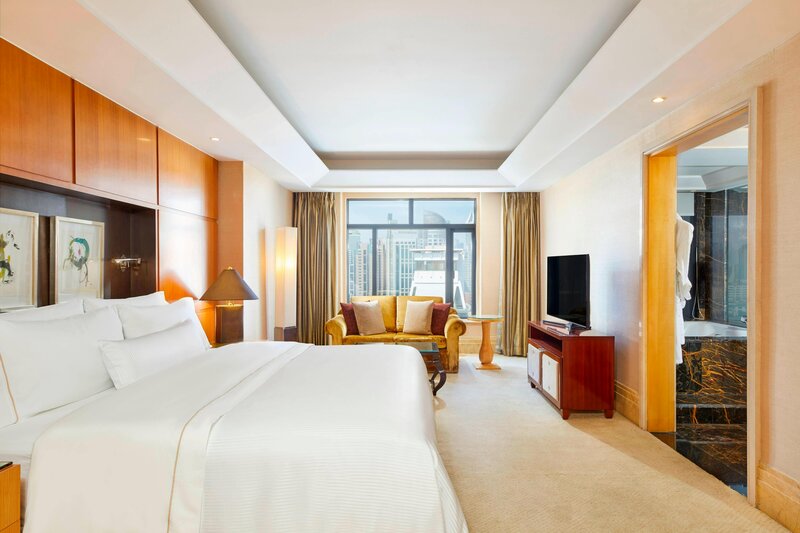 While some rooms overlook the great Huangpu River and the regal architecture of Bund, others offer dazzling views of the city and Yu Gardens. In addition to the calming qualities of natural light, each room envelops you in the comforts of our multi-layered Westin Heavenly® Bed with electronically operated bedside controls for lighting. 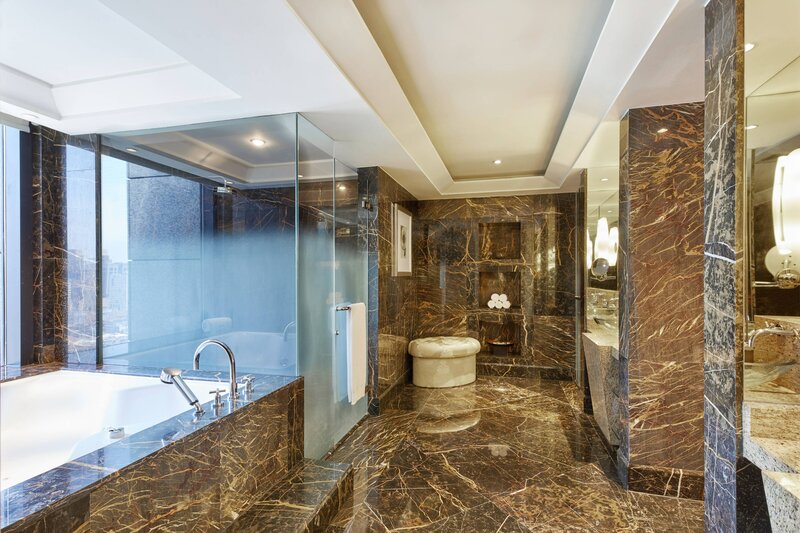 The spacious bathroom offers a deep soaking tub as well as a separate shower with a gentle rainforest shower head and Westin White Tea Heavenly™ Bath Amenities. Soft bathrobes and slippers complete the picture. A large work desk and ergonomic chair, fax machine, internet/data port, three telephones, two IDD/dual lines, and High Speed Internet Access ensure that you’re well-equipped to switch to business mode with ease and convenience. Each room also offers a personal safe, your own coffee/tea-maker and a refreshment center. Choose from 41 popular programs and enjoy your favorite entertainment on your 32-inch flat screen LCD TV. We welcome families with children of any age. If you are traveling with an infant, know that the Heavenly® Crib is available to cradle your baby in safe comfort on a custom-designed mattress that mirrors the Westin Heavenly® Bed. Each Signature Suite includes a magnificent view of Shanghai’s wonders, a living room furnished in an inviting contemporary style, a Sony sound system, and two flat screen televisions. With all the amenities of our Crown Deluxe Room, these fitness-friendly rooms offer a treadmill or spinning cycle, along with weights, resistance bands, stability balls, fitness DVDs and in-room workouts designed by fitness experts. It&apos;s perfect for those who need a heart-pumping workout, without the gym.